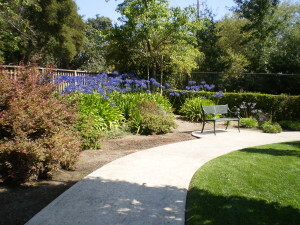 Creekwood Senior Home is a senior care facility located in the heart of Novato, California. We provide a safe, comfortable and caring place our residents can hopefully call home for the rest of their lives. Our facility provides comprehensive assisted living (residential care) for the elderly. Creekwood is locally owned and operated. We are licensed by the State of California, Department of Social Services. At Creekwood Senior Home, everything we do is based on building trust with our residents and their families. We bring families peace of mind by delivering safety, comfort and dependability at affordable rates. Management and staff are dedicated to providing a safe, comfortable home for seniors age 60 and above. We receive most of our residents from our reputation in the community, from resident family members or family members who have had a relative live at our home in the past. Come meet our residents and staff and see what we have to offer. We look forward to your visit!